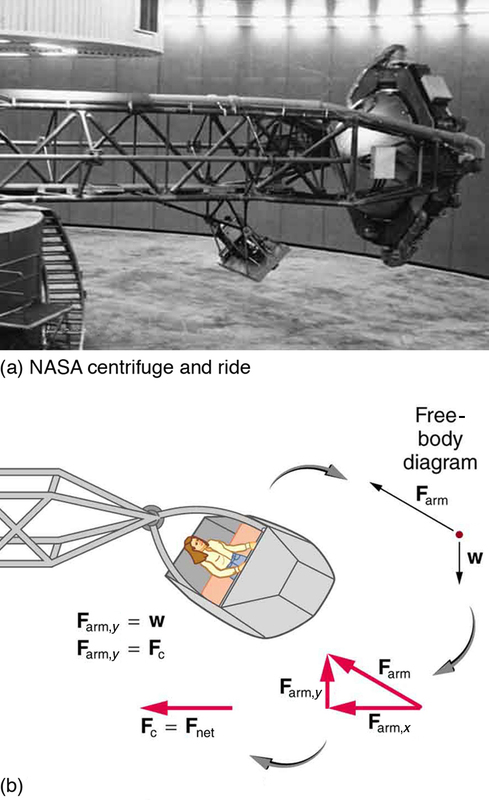 We could also solve part (a) using the first expression in [latex size=”4″]\rbrace[/latex], because and are given. 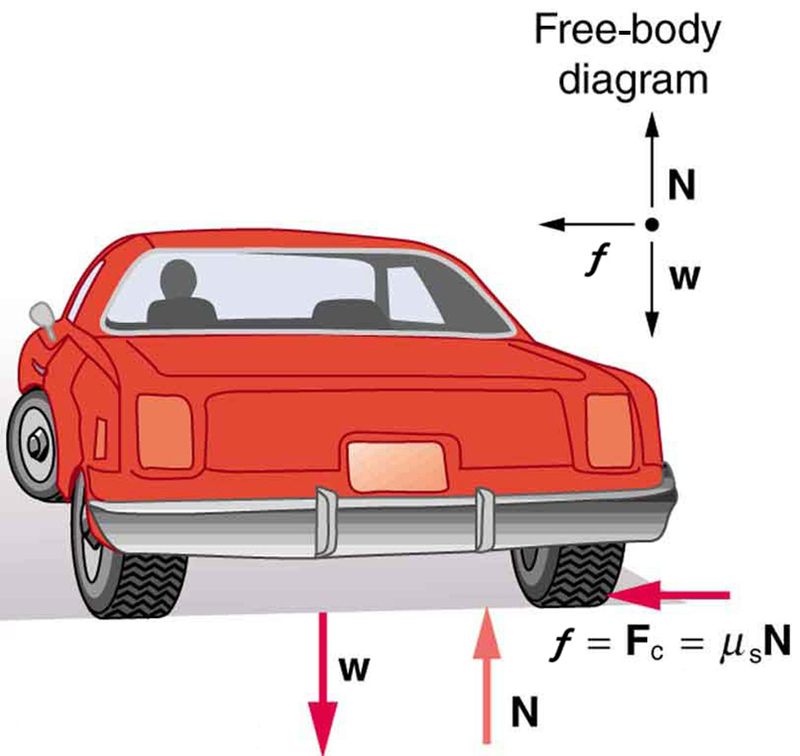 The coefficient of friction found in part (b) is much smaller than is typically found between tires and roads. 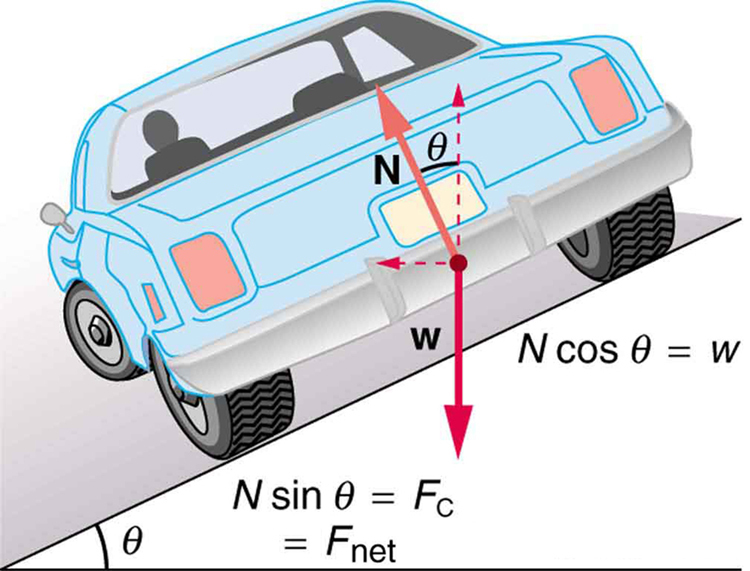 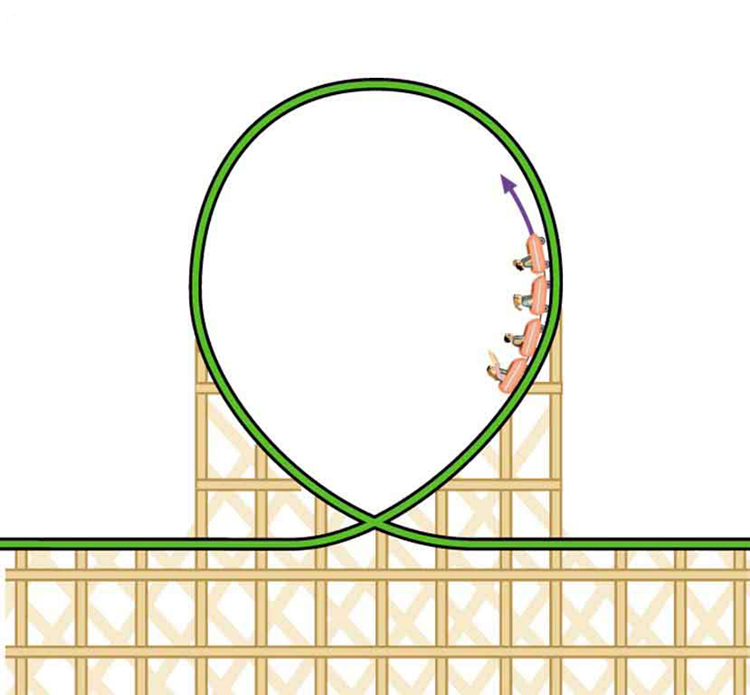 The car will still negotiate the curve if the coefficient is greater than 0.13, because static friction is a responsive force, being able to assume a value less than but no more than A higher coefficient would also allow the car to negotiate the curve at a higher speed, but if the coefficient of friction is less, the safe speed would be less than 25 m/s. 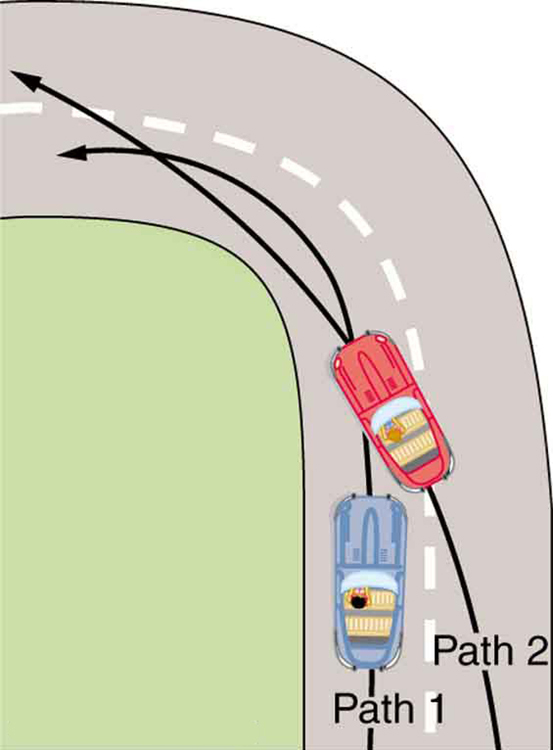 Note that mass cancels, implying that in this example, it does not matter how heavily loaded the car is to negotiate the turn. 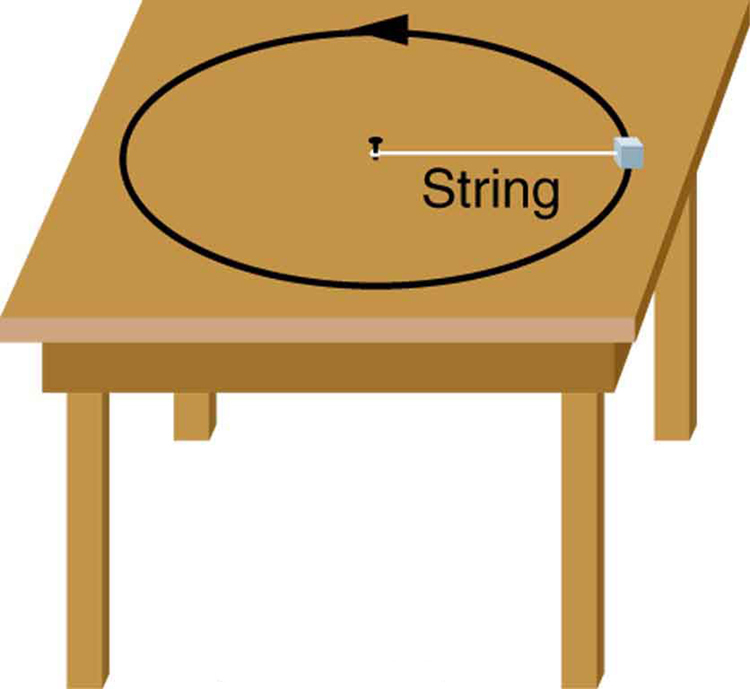 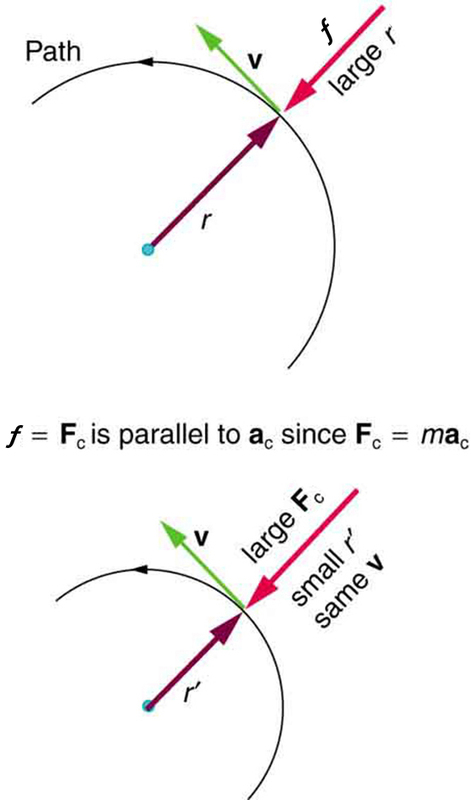 Mass cancels because friction is assumed proportional to the normal force, which in turn is proportional to mass. 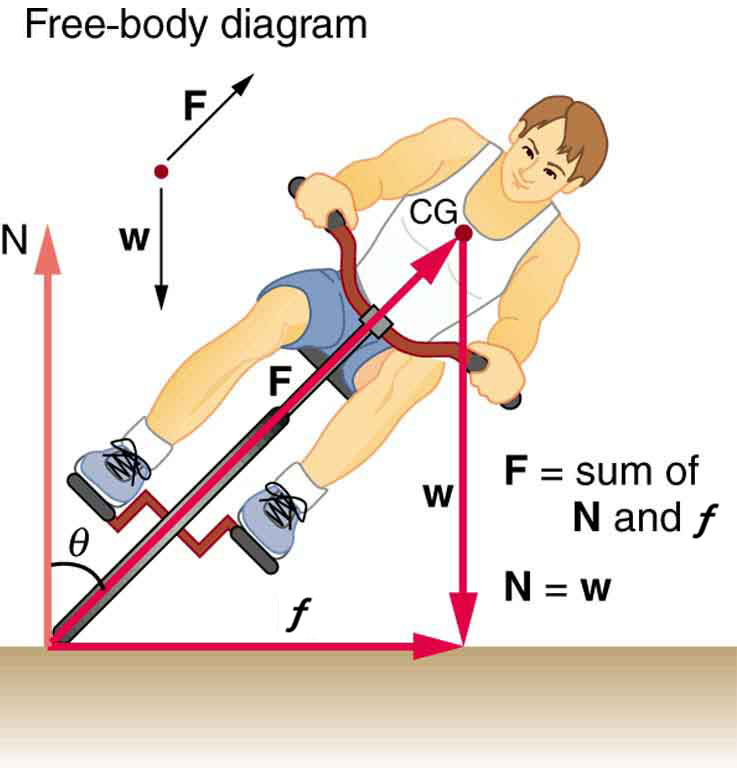 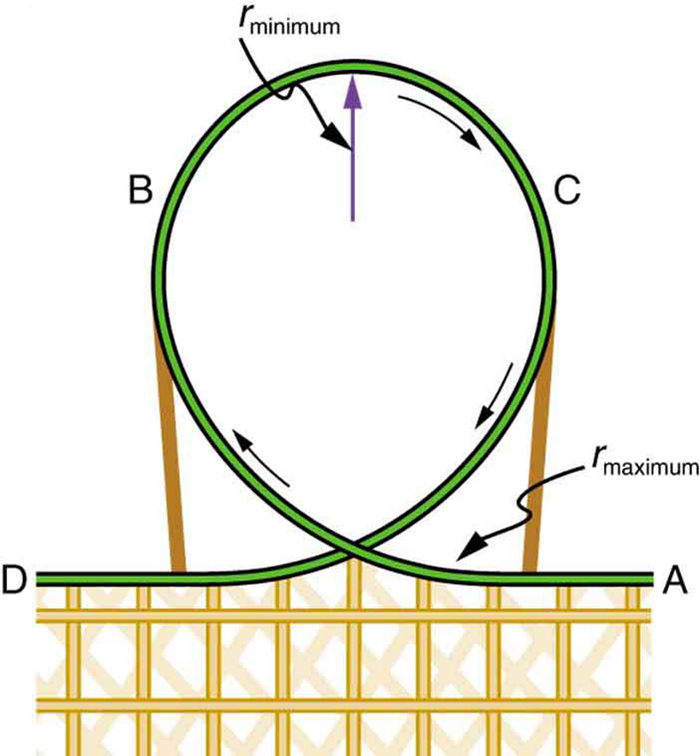 If the surface of the road were banked, the normal force would be less as will be discussed below.